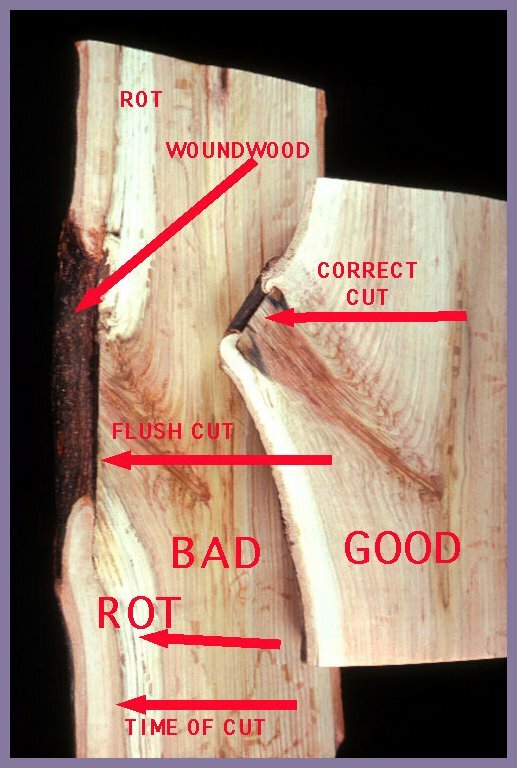 Flush cut thus resulting in a canker. Honey Locust. 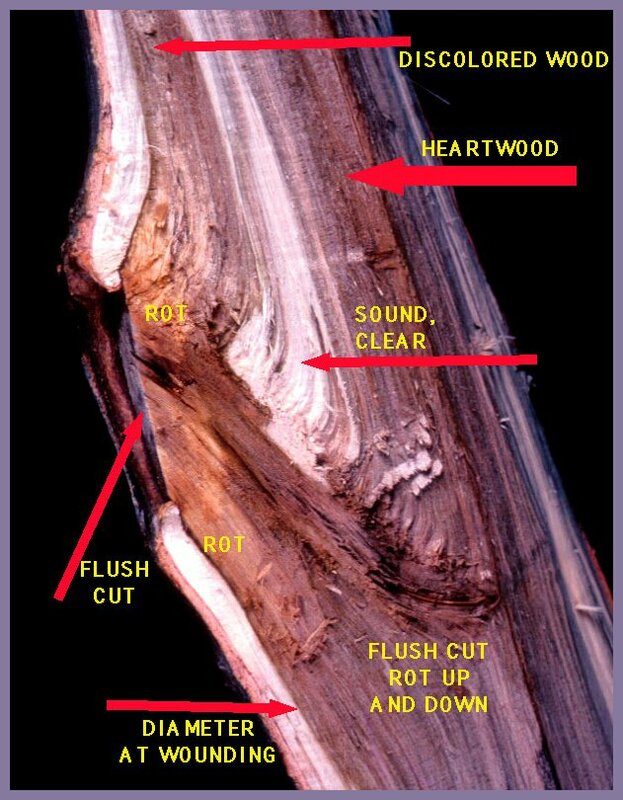 Internal response to flush cuts. 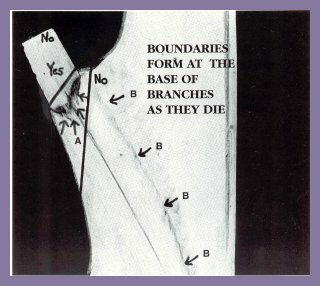 Boundaries also form at the base of branches as they die. 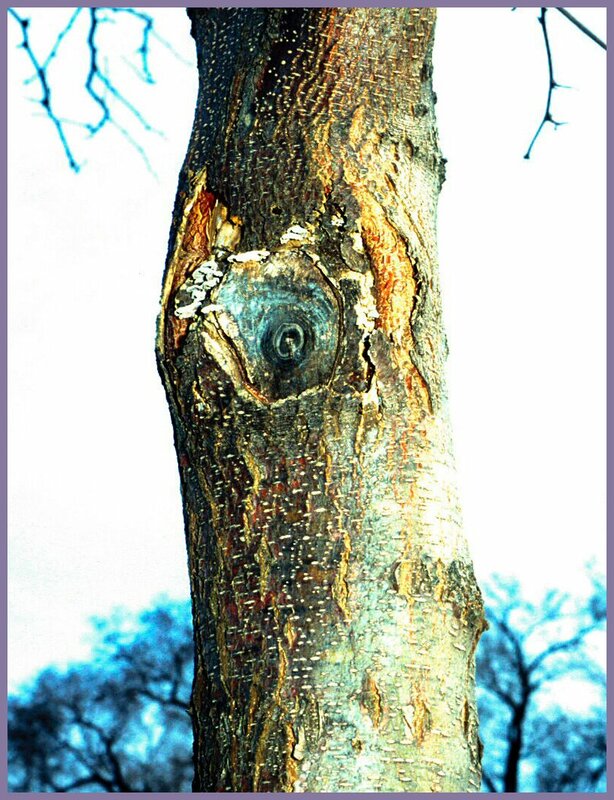 The boundaries resist the spread of infections into the tree from organisms in the symplastless branch. Because the symplastless branch is mostly cellulose, which is made up of glucose - sugar - fungi can use the symplastless branch as a source of food while they "press" against the boundary within the branch base. Arrows A show the boundary. 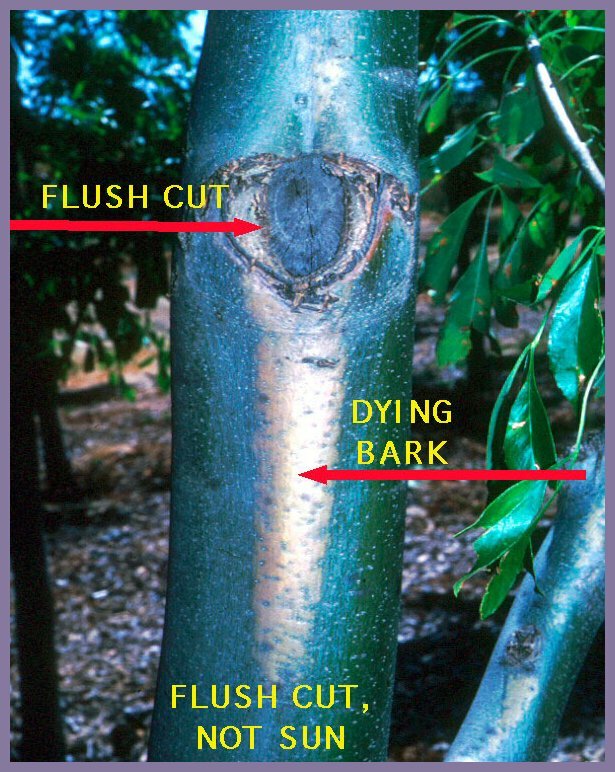 When pruning, do not leave stubs as food for fungi, and do not cut branches flush with the stem - flush cuts - thus removing the tissues that form the boundary. 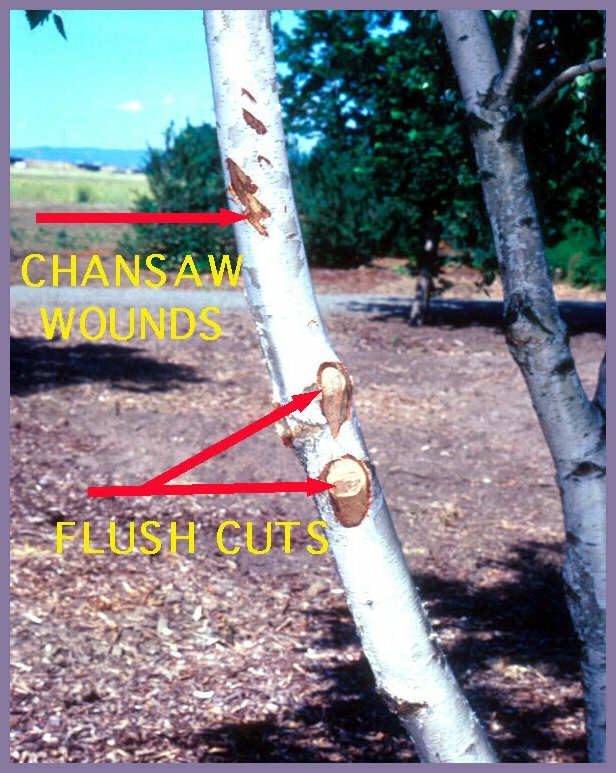 Do cut as close as possible to the swollen base or collar of the branch, but do not injure or remove the swollen base or collar. 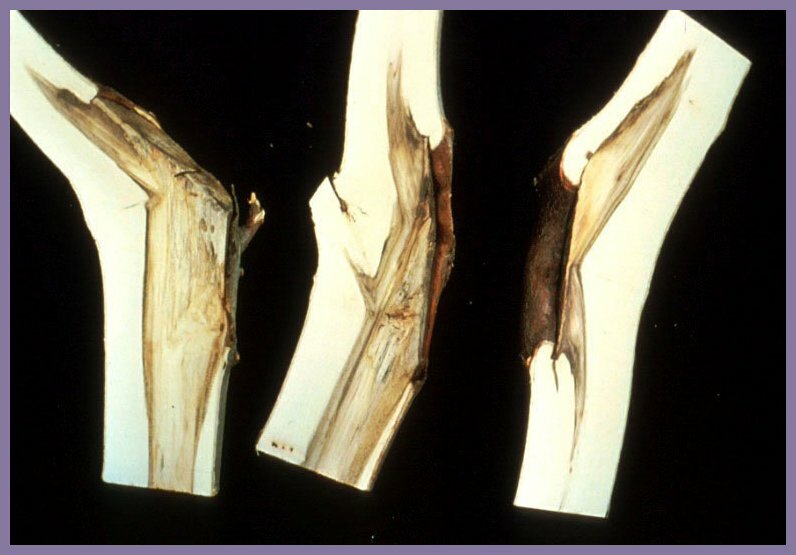 Arrows B show where the trunk tissues grew around the branch tissues.